This prolific writer has a lot to say. 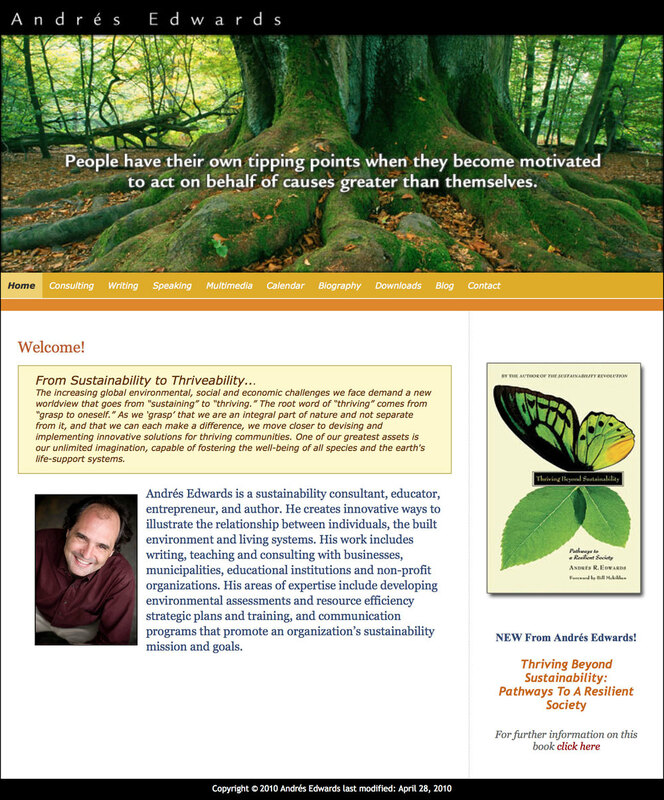 sevmedia was asked to design a web site for sustainability expert and author Andrés Edwards to house archived presentations and information about his two books as well as his speaking engagements. This rather large site was designed with a one paragraph summary on each page and also employs a dual level navigation to help sift through a tremendous amount of content, including a number of audio interviews and a complete press kit.